Everyone knows the iPhone and other Apple products. But do you know where Apple came from? Check out some facts you may not know about one of the world's largest corporations. According to Forbes, Apple is the world's most valuable brand, estimated at $170 billion in May 2017, more than 50 percent more than second-place Google and nearly double that of Microsoft, twice that of Facebook and more than triple that of Coca-Cola, Amazon and Disney. 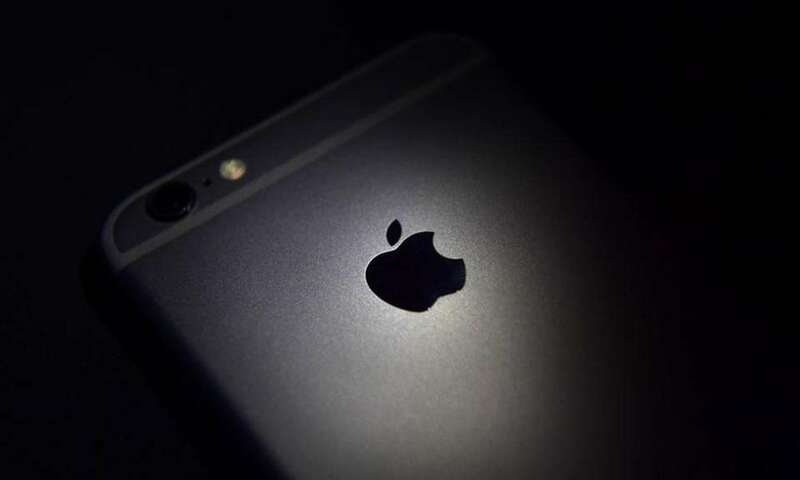 Apple is also the world's most profitable company, according to Forbes, with an estimated $45.2 billion in profits in the 2017 World's Top Companies list, $3 billion ahead of the second-place company, China's ICBC. Apple also had nearly double the profit of the list's second-place American company, JPMorgan Chase. Apple was founded in April 1976, as three friends started the company out of a garage. 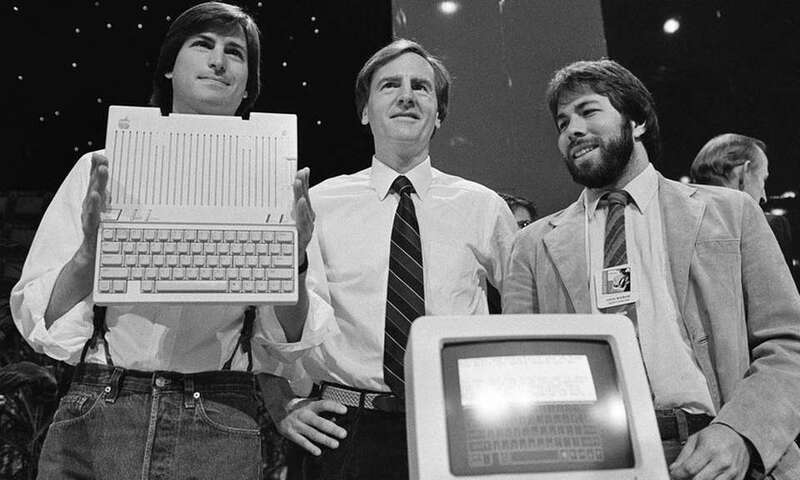 Steve Jobs, left, and Steve Wozniak, right, had a third partner, Ronald Wayne, not pictured. 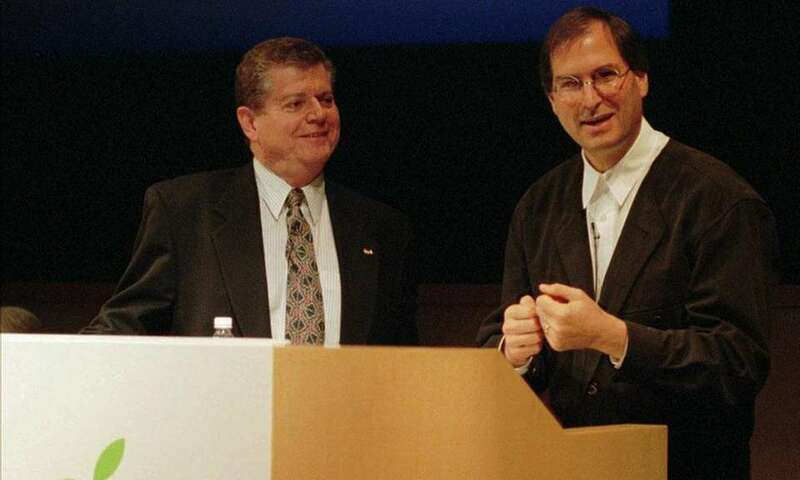 Wayne was picked as an arbiter in case the two Steves had a disagreement, but he sold his 10 percent stake in Apple 12 days into the company's history for $800 -- a stake that would be worth billions today. 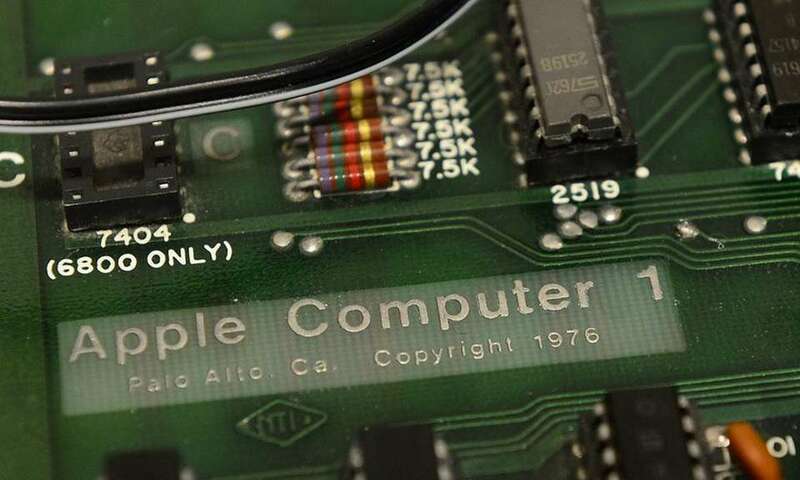 The Apple I computer began sales in July 1976, for the price of $666.66. The company built only about 200 of the computers -- essentially just a circuit board -- with only about 50 left, and only six still operational. 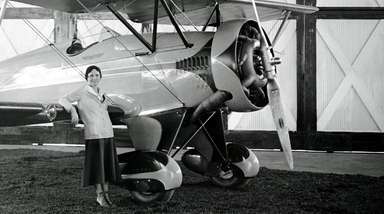 One surviving model fetched $905,000 at a 2014 auction. 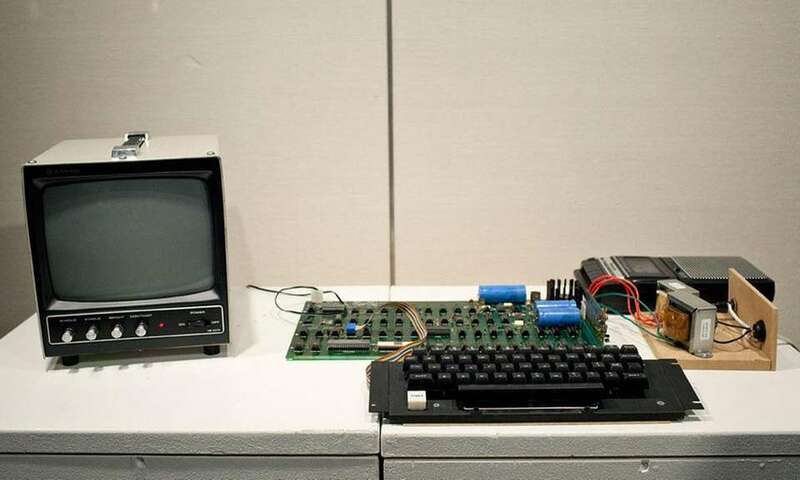 Steve Wozniak built all of the Apple I models by hand, and users still had to provide a keyboard and television set to use the device. Steve Jobs was in charge of selling the product, and the company's first big sale was to a computer store called the Byte Shop in Mountain View, Calif., for an order of 50 of the models -- which helped the company survive after being denied a loan by a bank. 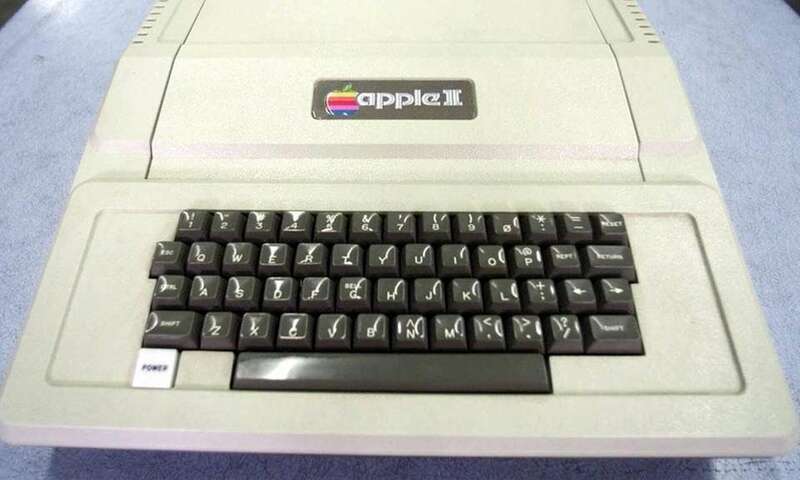 Apple's second offering was the Apple II, which debuted in 1977. The new machine offered color graphics, and cassette-tape based storage, and unlike the Apple I, came with its own case. It initially sold for $1,300, and became Apple's first big market hit, selling 6 million in the next 16 years until production on the model was halted in 1993. 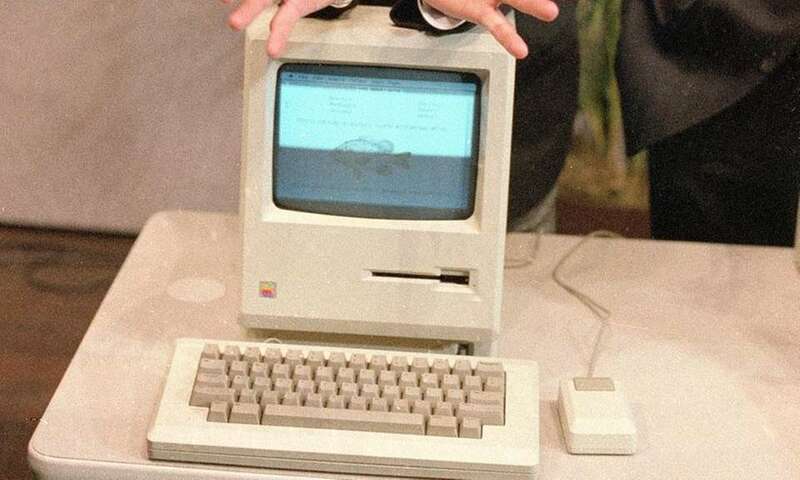 The first "Mac" -- then known as the Macintosh, named after one of Apple's developers' favorite types of fruit -- was introduced in January 1984. 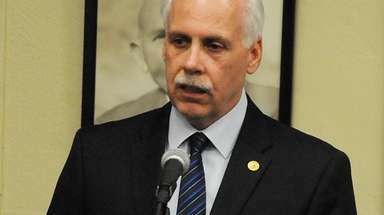 It offered users a graphical user interface and a mouse. The marketing was aided by the "1984" commercial that aired during Super Bowl XVIII in 1984, and the computer sold for $2,495. Apple co-founder Steve Jobs was forced out of the company in 1985, and he helped found a computer company called NeXT, also helped create the computer animation company Pixar. Apple acquired NeXT in 1997, bringing Jobs back to Apple. Apple introduced iTunes in 2001, and it was soon followed by the iPod, which was released in October of that year. 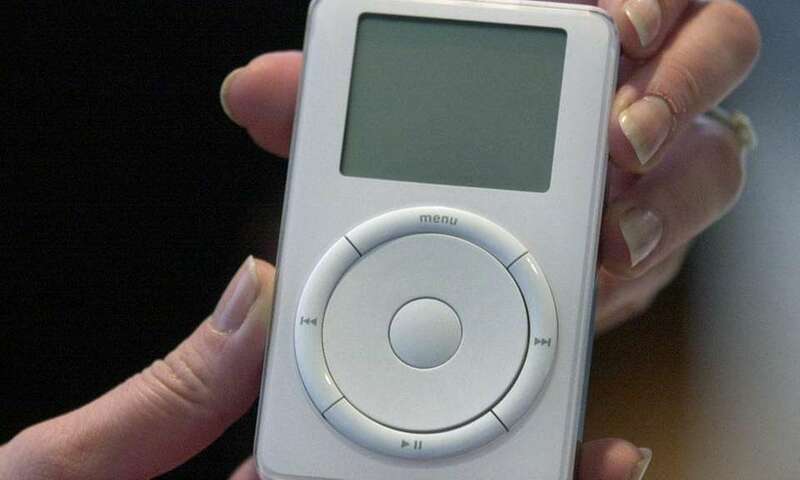 The first iPods could hold about 1,000 songs, only worked with Macintosh computers, and were priced at $399. 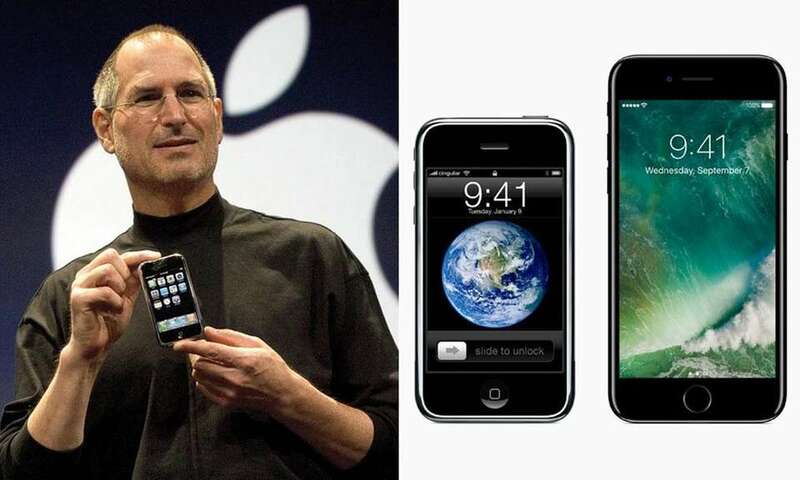 The first iPhone was introduced in 2007, and initially only was offered on AT&T's network. The original version of the iPhone was offered in June of that year, with people lining up to buy the offering, which started at $499. 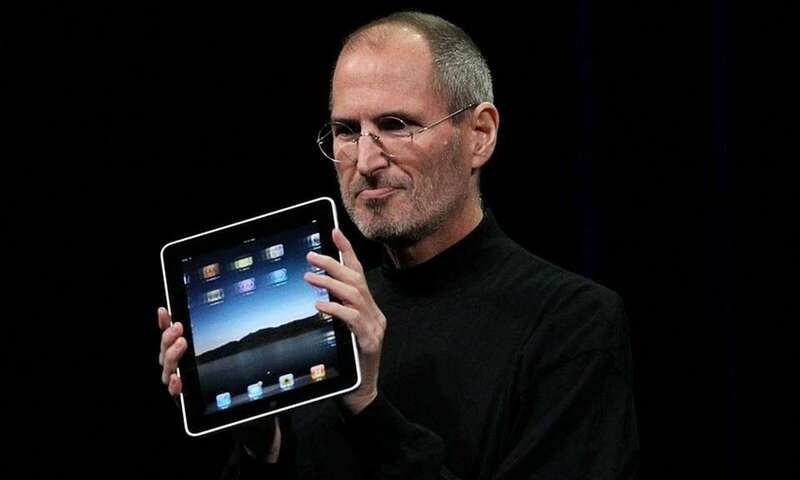 Apple began offering a cross between the iPhone and the Macbook in 2010, called the iPad. The first iPads were sold in April of that year, and started at $499. 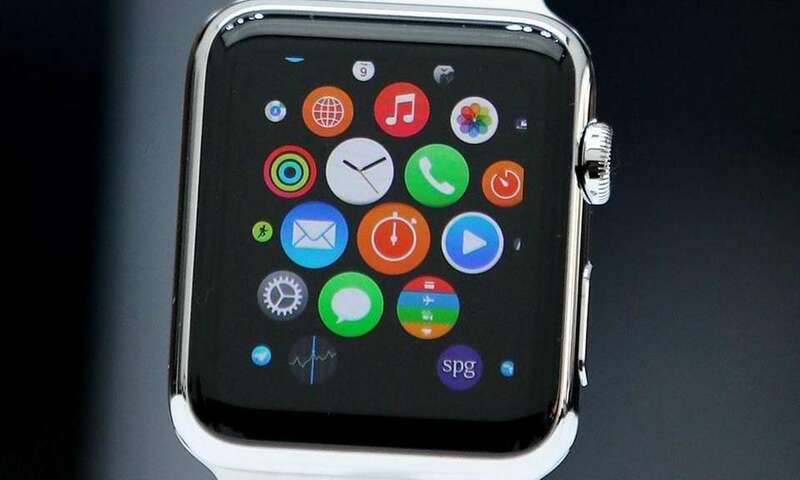 Apple announced the Apple Watch in September 2014 and the first models went on sale in April 2015, at the cost starting at $349. 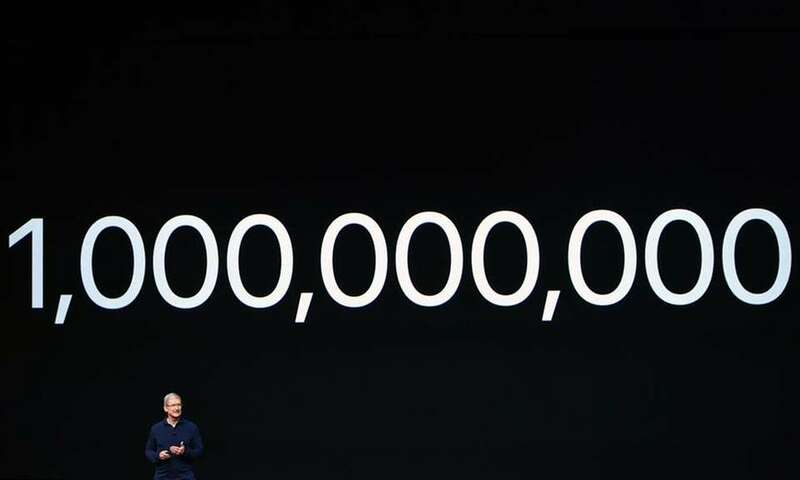 In July 2016, Apple announced it had sold 1 billion iPhones in the 9 years since its launch in 2007, and the device is the company's biggest-selling product of all time. By comparison, it took 8 years for McDonald's to sell a billion hamburgers from its start in 1955 to 1963. 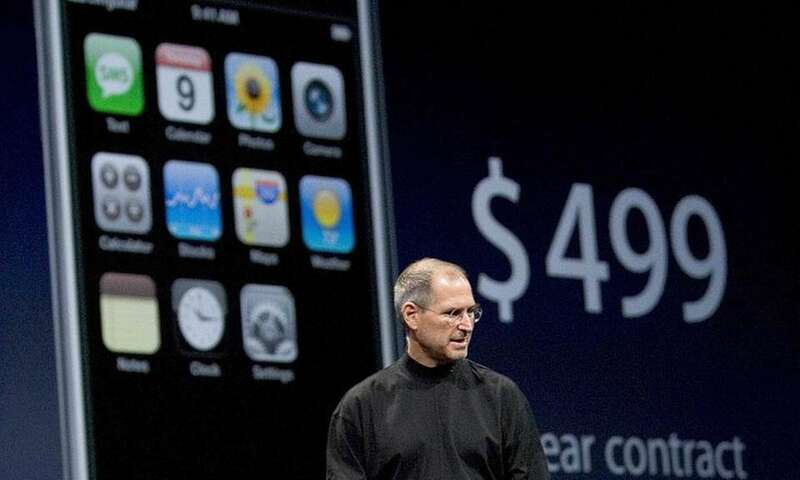 Steve Jobs first announced the iPhone on January 9, 2007, with the device reaching the undergoing many changes in size and look in the decade since. In January 2018, Apple said it had its biggest sales day ever in the App Store, with consumers spending nearly $300 million on New Year's Day alone. The company says developers earned $26.5 billion from the App Store in 2017, and $86 billion since it first was launched in 2008. Since 1993, Apple has been headquartered at 1-6 Infinite Loop in Cupertino, Calif., with six buildings and 850,000 square feet of space. The city is in the heart of California's Silicon Valley, just west of San Jose. 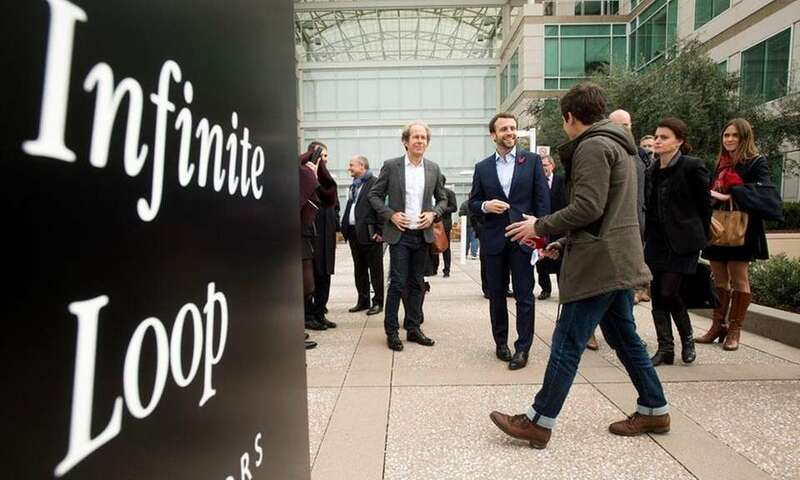 In 2017, Apple started to move employees into new headquarters at Apple Park, a mile from the company's current headquarters. 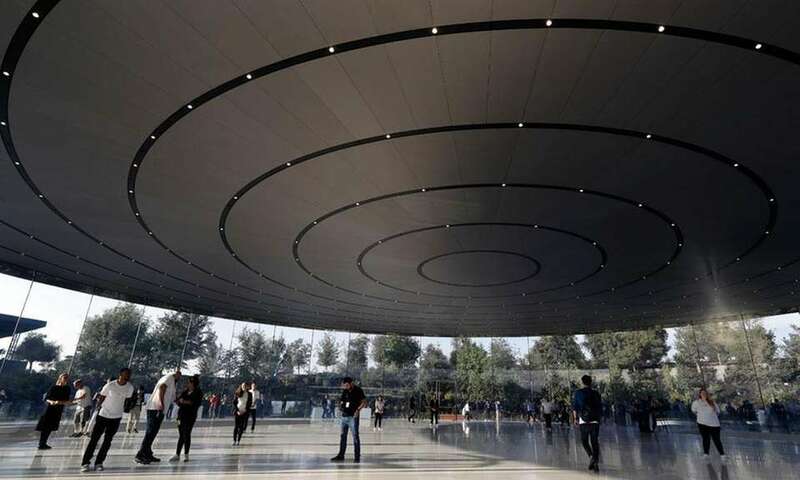 The facility, which features a futuristic ring-shaped building and the Steve Jobs Theater, will be the workplace for 12,000 employees. 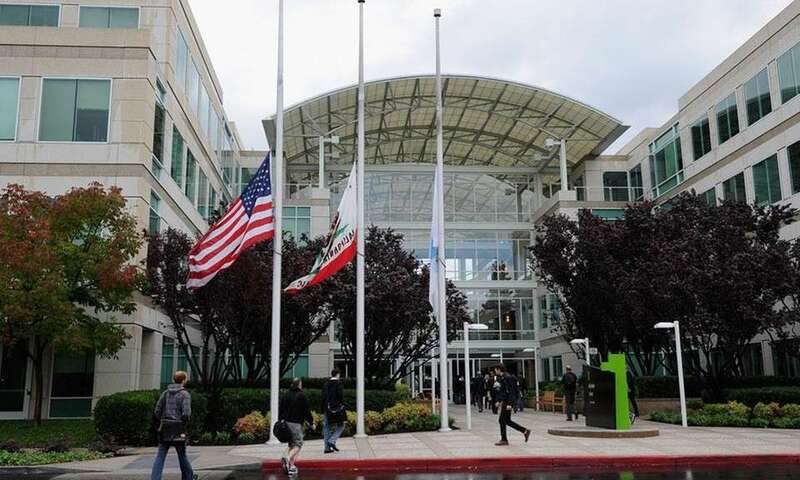 According to Apple's website, the company employed 80,000 employees in the United States in 2016. It also states 2 million jobs have been created or supported by Apple in the United States as of that year. In 2014, London's Telegraph reported that Apple had $158.8 billion in cash on hand. 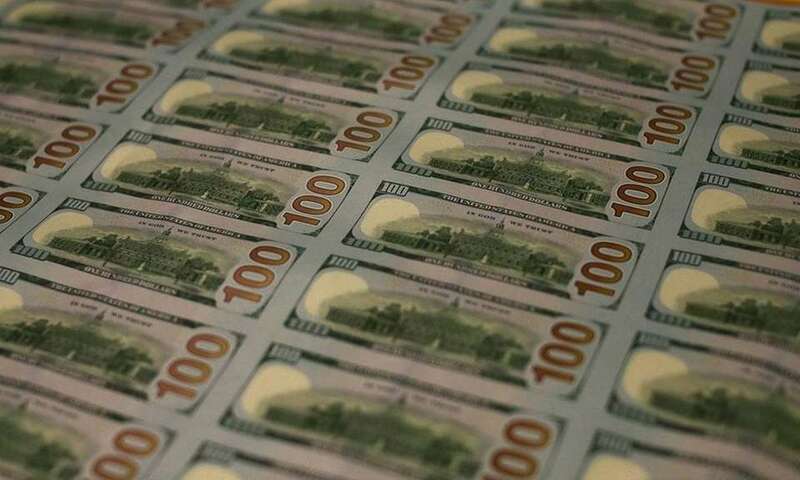 The American government only had $48.5 billion on hand at the time -- although the U.S. Treasury could just print more. 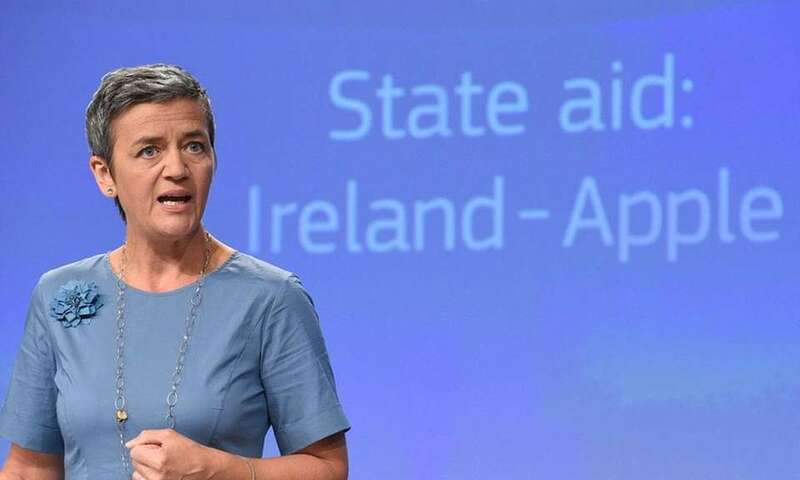 In August 2016, the European Union claimed Apple owed nearly $15 billion in back taxes -- plus interest -- due to illegal tax breaks from EU member Ireland. 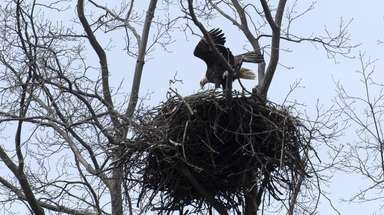 The company, which has operated in Cork, Ireland, since 1980, is appealing the decision. 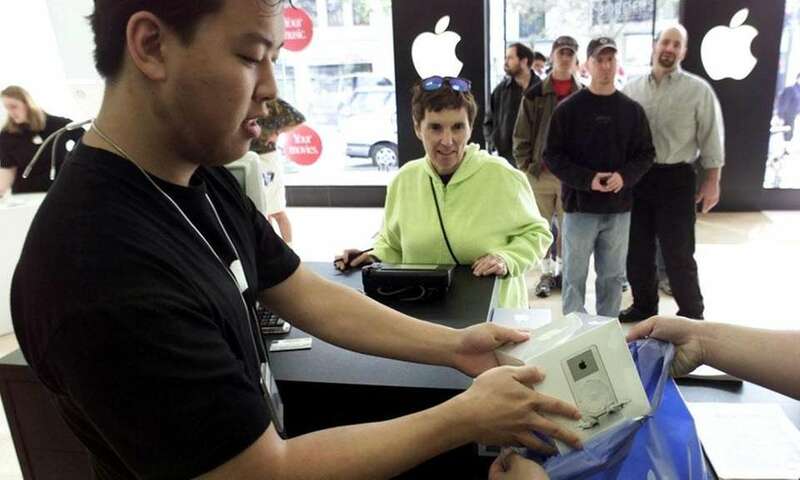 Apple opened its first stores in Glendale, Calif., and McLean, Va., on May 19, 2001, the first of 25 stores to open across the United States that year. 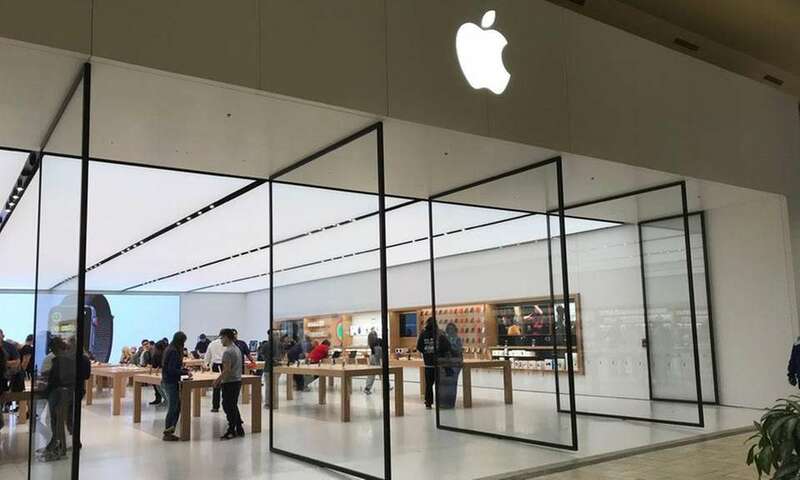 As of February 2018, the company had 501 Apple Stores worldwide, and locations in 44 U.S. states and the District of Columbia. 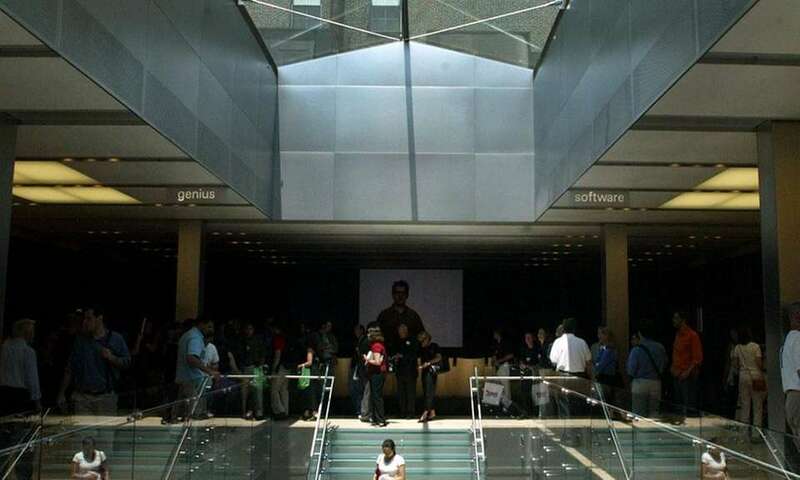 The company opened its first Apple Store in New York in SoHo in 2002. The Fifth Avenue store opened four years later in 2006 to double the city's total, and now seven operate in Manhattan alone -- the latest being the World Trade Center location that opened in August 2016 -- with an additional two in Brooklyn, and one each in Queens and Staten Island. 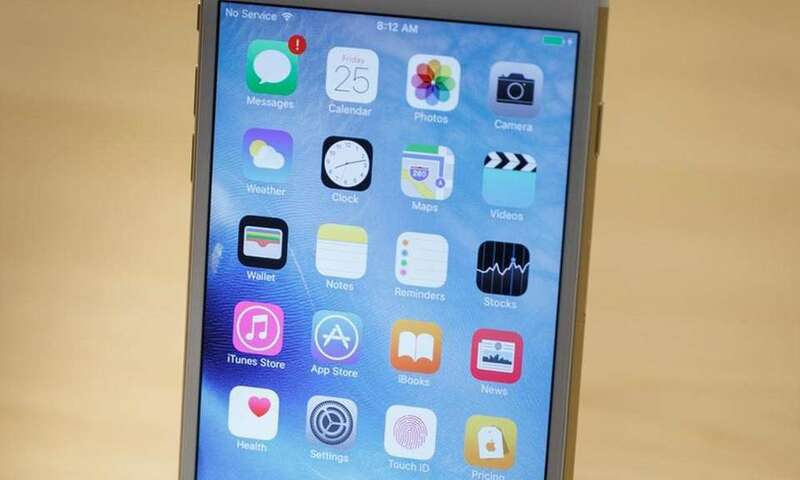 Apple has four locations on Long Island, two each in Nassau and Suffolk counties. 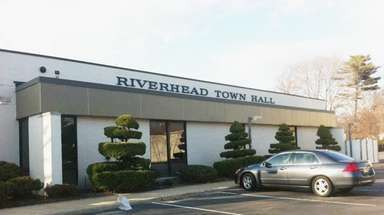 The first Apple Store on Long Island opened at Roosevelt Field Mall in Garden City in 2002, while Suffolk's first location opened at Walt Whitman Mall in Huntington Station in May 2003. A location in Smith Haven Mall in Lake Grove, above, opened in September 2006, then reopened in a different mall location in October 2017, shown above, while a store opened in Manhasset in 2009. 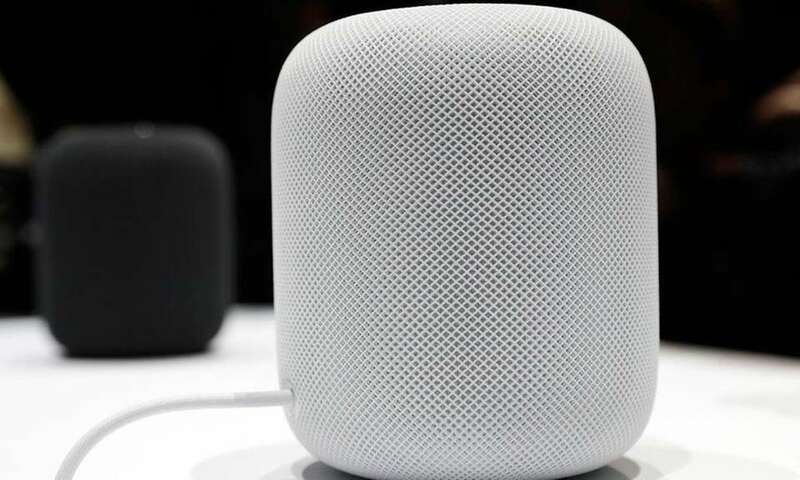 In June 2017, Apple unveiled the smart speaker called the HomePod, the company's first new product in nearly three years. 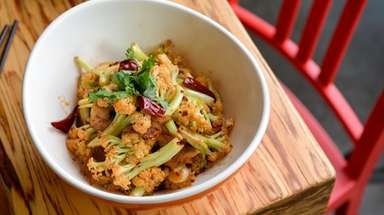 The product was rolled out to the marketplace on Feb. 9, 2018. 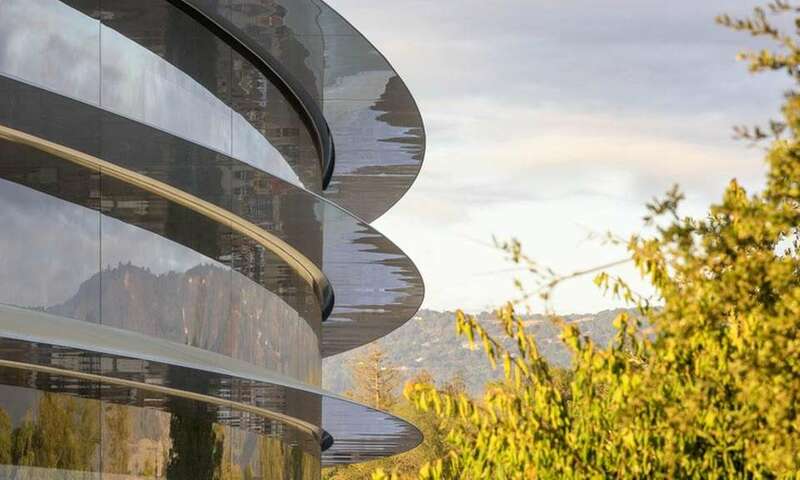 Apple held its first event at the brand-new Steve Jobs Theater on its Cupertino, Calif., campus for its annual keynote presentation on Tuesday, Sept. 12, 2017, as it unveiled the Apple Watch 3, Apple TV 4K, and iPhone 8, 8 Plus and X. 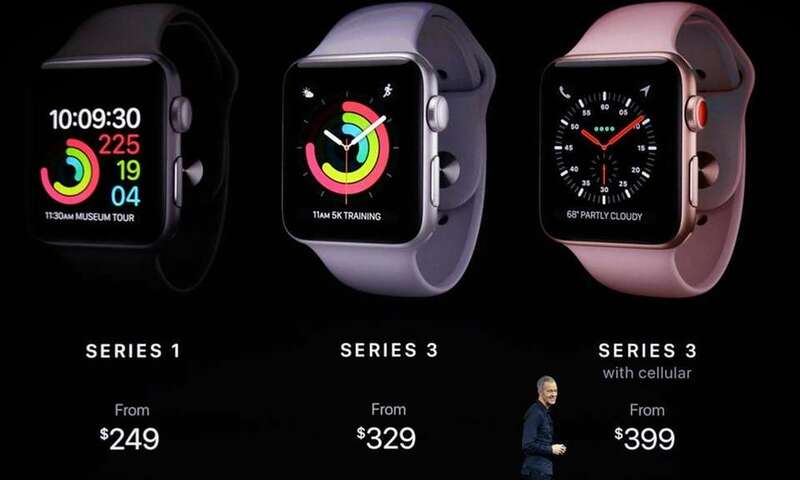 At Apple's keynote presentation on Tuesday, Sept. 12, 2017, the company said as it introduced the Apple Watch 3 that the line is the most popular watch in the world. 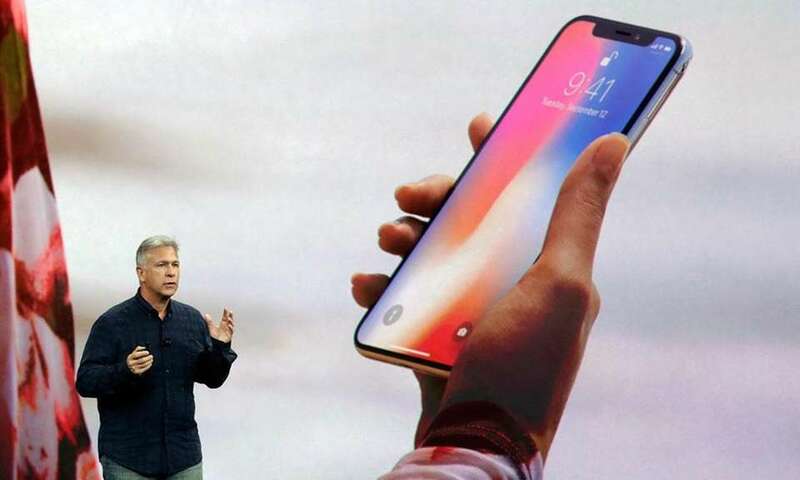 On Tuesday, Sept. 12, 2017, Apple introduced the iPhone X, which starts at $999, $200 more than the iPhone 8 Plus, which was introduced the same day. 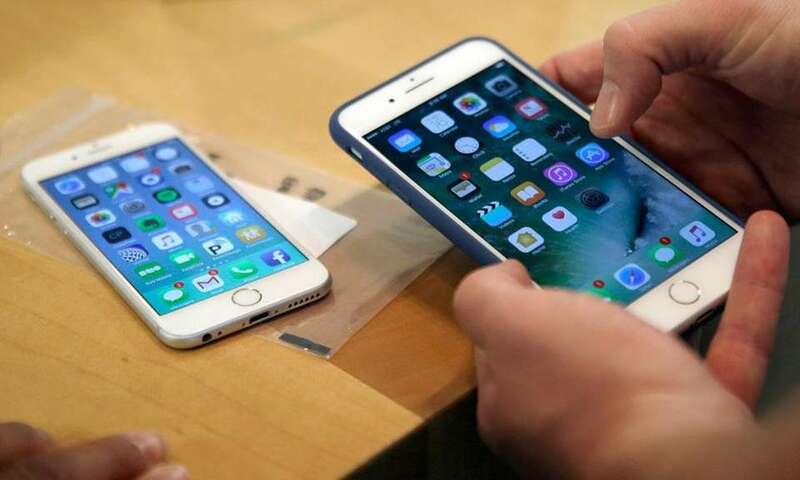 In December 2017, Apple sparked some controversy when it revealed it was slowing the performance of older iPhones to try and reduce the potential shutdowns of aging batteries. 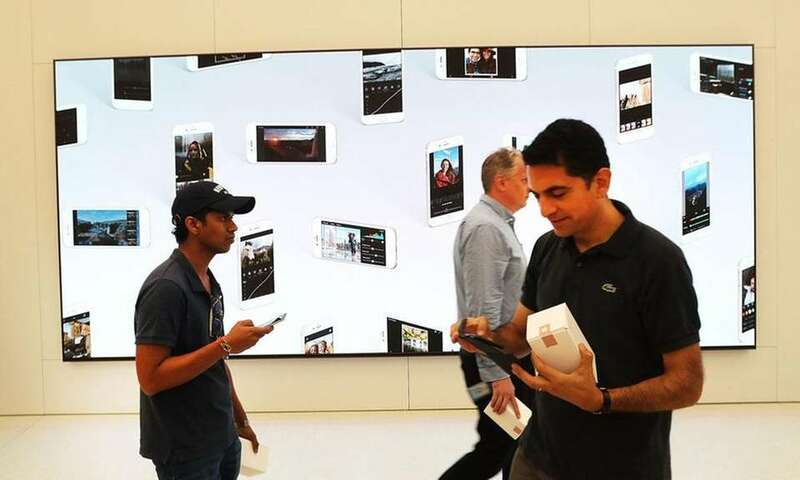 However, the company didn't unveil the tactic until well after it was introduced in iOS updates, causing complaints from some lawsuits that users were being encouraged to purchase updated iPhones to replace older, slower models.